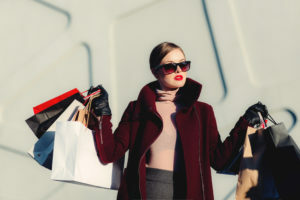 We all love shopping, and there’s something very pleasurable about a retail splurge every now and then, but it can be a ruinously expensive hobby. However, there are a few simple shopping hacks that will allow you to keep on top of the latest trends without spending all your cash. Read on for our top five thrifty shopping tips! Seasoned shoppers may turn their noses up at charity shops, but they are the places to grab some incredible bargains. Gone are the days when charity shops were full of tatty old cast offs; you can now bag great quality, nearly new clothes and even, if you’re lucky, designer label treasures at knock down prices. However, you do have to be prepared to put the work in and have a thorough search through every rail. Keep an eye out for clothes with the label cut out, as these items have often been donated brand new from nearby high street stores once they’ve gone out of season. Plus, bear in mind the location of the shop as ‘wealthier’ areas tend to ramp up the prices. One of the easiest ways to waste money is on food shopping. How often do you pop into the supermarket after work, buy loads of stuff you don’t really need and end up chucking most of it away? We’re betting a couple of times a week at least. Planning a weekly menu means you know exactly what you need to buy and can do a ‘big shop’ once a week; all the better if you do it online as you’ll be less tempted to sneak some extra treats into your basket. This is a lesser known tip, but signing up to paid market research can help you to earn some extra cash whilst discussing your favourite brands – perfect for die-hard shopaholics! As long as you make sure you sign up to a reputable company like us – there are lots of scams online – paid market research is a foolproof method to meet like-minded people and enjoy yourself at the same time as making a few extra quid. Sign up to our panel here! Upcycling is the art of turning something you don’t want into something you do want, but in a different form. For example, a worn out but much loved jumper can be easily turned into a funky cushion cover. As well as saving money, upcycling means that you will have something completely unique and therefore much cooler than generic high street products. It’s also great for the environment as you aren’t sending your old things to landfill. If you do a little bit of forward planning and shop off-season, you can grab some incredible bargains. For example, if you spy some beautiful garden furniture or a flattering bikini at the beginning of the summer, biding your time until the winter months will mean you can grab these things at a knock down price. End of season sales will enable you to go a bit wild without spending too much cash. Many shops, both online and off, attract customers by offering great deals through vouchers and codes, so if you’re thinking about splashing out some cash on something, however big or small, have a search around the internet first to see if you can bag an offer. Another great idea is to sign up to the online newsletter for all your favourite companies; not only will they provide you with information about the things you love, but they often offer big discounts as a reward for your interest. Are you ready to become the ultimate savvy shopper? Sign up for paid market research with Angelfish Opinions now! Valentine’s Day is fast approaching and with it the opportunity to get your beloved a suitably romantic gift. But what do you do if your partner is left cold by the usual flowers and chocolates or wining and dining? If your partner is a bit of a geek, we’ve got some brilliant suggestions that will knock them head over heels. Amazon Echo is the ultimate home gadget, and once you’ve got one you won’t want to give it up. It’s a voice-controlled hands-free device in a sleek cylindrical speaker, but it does so much more than play music. It can do everything from updating you on the news and weather to booking an Uber or a takeaway, and helps with general life admin like scheduling appointments, setting alarms and even ordering more toilet roll. It can even control smart home devices such as kettles, lamps and thermostats, meaning you will barely need to lift a finger! Virtual Reality (VR) is gaining huge amounts of attention in the world of gaming, so if your loved one is a gaming geek, this present will easily capture their heart. The PlayStation VR headset allows the player to experience a game in a completely new and immersive way, so they feel like they are literally part of the action. This VR headset is one of the cheapest on the market in comparison to HTC’s Vive and Microsoft’s Oculus Rift, so you won’t have to spend a fortune to make someone very happy. 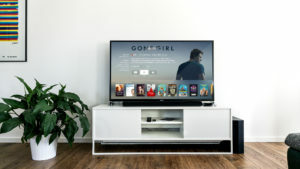 Television has come a very long way from the five terrestrial channels and the Roku Box is at the forefront of a new generation of TV viewing. It offers a gobsmacking 2,000 channels, including BBC, Netflix, Now TV and Sky Sports, and you can also cast films and TV shows to your phone and tablet. It’s incredibly simple to setup and works like a dream, so you won’t have to wait around whilst your shows buffer. There are no hidden costs or recurring fees with the Roku Box, making it a cheap and convenient way to feast your eyes on the best. Though these amazing gloves aren’t technically gadgets, they allow you to use your favourite gadgets when you’re out and about in the chilly winter air. If you’ve ever tried using your smartphone whilst using normal gloves you’ll know that they just don’t cut it, so upgrade your partner to these nifty hand warmers. They’re made of wool, so will keep your fingers toasty, but the clever little silicone dots allow for just enough ‘grip’ on the screen on your phone. They’re also available in leather for the super sophisticated geeks out there. If your other half is serious about their coffee but is always in a rush in the morning, make sure they can get their cup of Joe whilst they’re on the go. This incredible little machine is entirely hand-powered, weighs in at just 360g and is compatible with Nespresso capsules. It also has a built-in cup, so it can be taken on all your romantic backpacking and camping trips together. Make your Valentine’s Day this year super special by signing up to paid market research – the extra pennies you earn could go towards a geeky gadget for your other half that they will absolutely love! Sign up now!